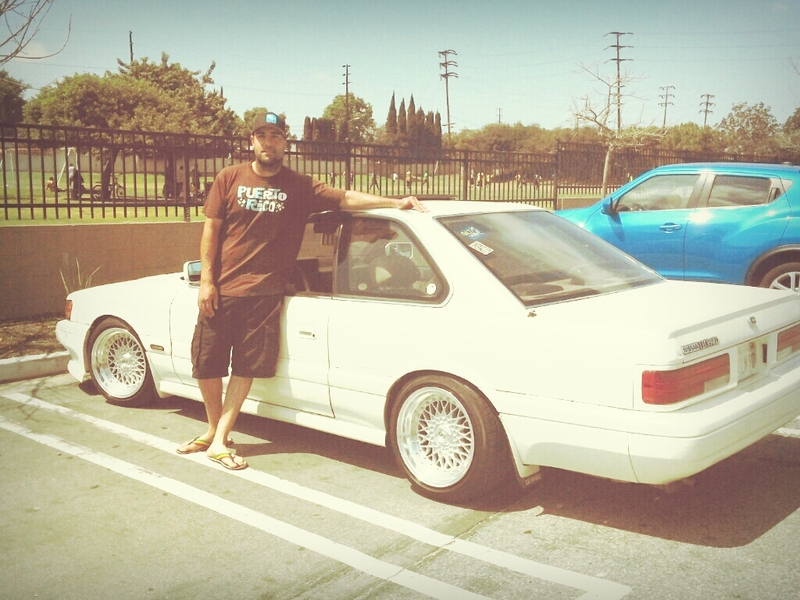 Many of the Original SoCal M30 owners I am willing to meet up with. I wish I was able to meet up with more folks, but we ran out of time. One person I was really glad to meet up with was Roger V (Hachiboy). We’ve always been cool and the inside joke is, How often do you run into another Roger (and especially a Roger of color?). After meeting with Nightmoves, I hit up Roger V. to see if he was available. The original plan was to meet by Van Nuys dealership to check out his car, but it didn’t work out that way. He gave me his address and we went to his place. This was my first time meeting him, but also Mark as well. So it was dope for us to meet up and just talk shop and all. I can’t tell you how dope it was for just talk. Talking online, in forums or social media is cool… but in person and after years… nothing like it! This entry was posted in blog, history, Meetings, opinion, Owners, review, wandering leopard and tagged desert 8, hachiboy.